Canadian Craftsmanship Shines Through These 2017 Silver Maple Leafs! When you think of Canada, we would bet you a loonie (maybe even a toonie) that the image of a red, sharply-defined maple leaf pops into your head. But if you look at a real maple leaf in person, preferably one that's fallen from a majestic tree in the depth of autumn, you'll see an object of nature that is truly remarkable. Deep color and intricate veins all illustrate a broad blade that provided essential nutrients throughout the summer. If you're not near a tall maple tree, the next best way to see these beautiful details is to hold a 2017 Canadian 1-oz Silver Maple Leaf in your hands! 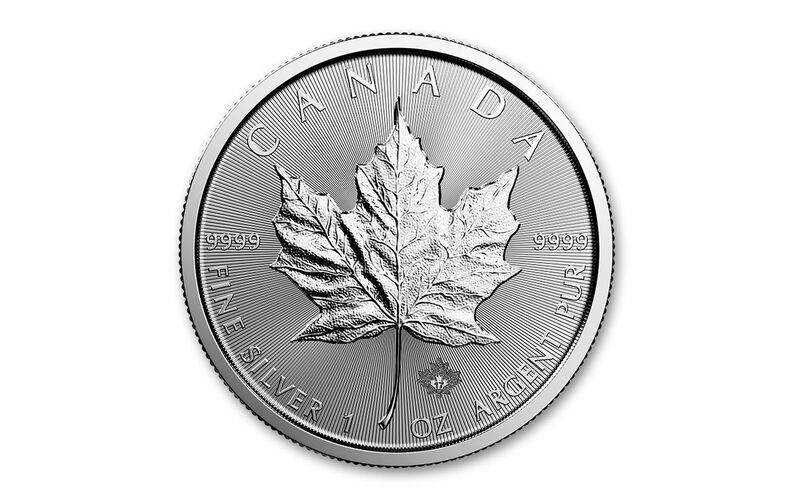 Since 1988, the artisans at the Royal Canadian Mint have been producing Silver Maple Leaf coins with stunning detail and sophisticated design. A year shy of its 30th anniversary, the 2017 Silver Maple Leaf's primary design is still as lifelike as ever. In addition, the main leaf is joined by a smaller leaf, micro-engraved through state-of-the-art technology with the number "17" -- providing an elegant form of anti-forgery protection. 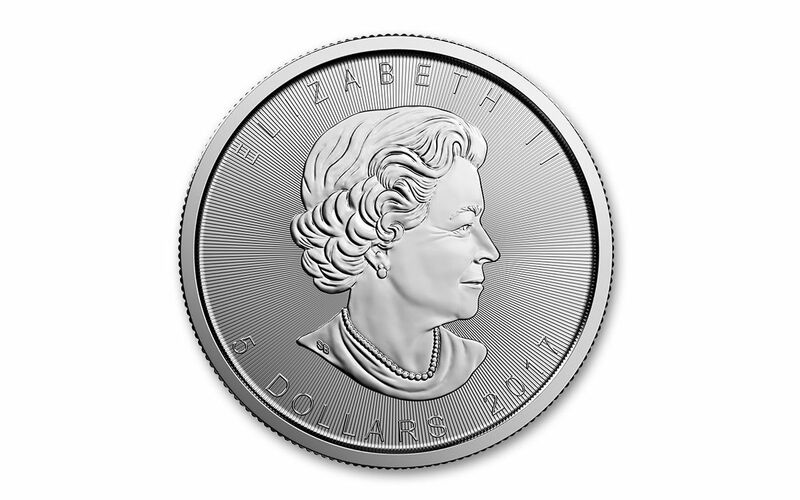 A profile of Her Majesty, Queen Elizabeth II graces the other side of the coin as well. 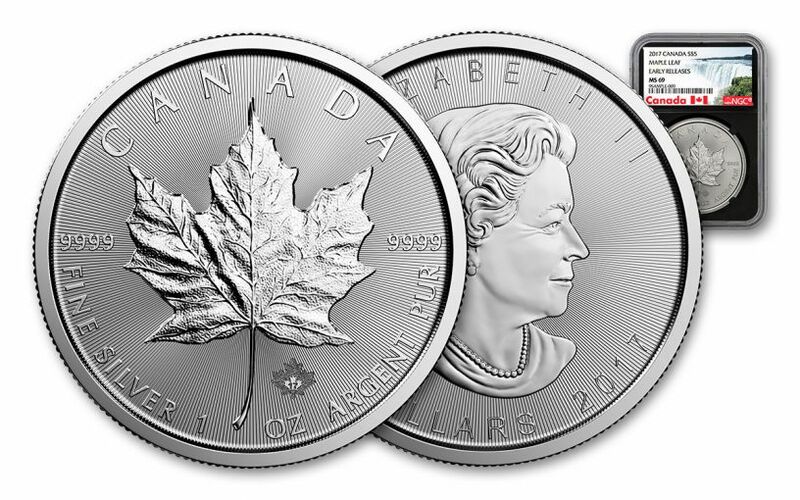 Each 5 dollar legal tender 2017 Silver Maple Leaf is struck in one ounce of 99.9% pure silver. Your coin will be graded Mint State-69 (MS69) by Numismatic Guaranty Corporation (NGC), a distinction that means your almost-flawless Silver Maple Leaf will showcase an impressive full strike and indistinguishable imperfections -- well above and beyond the quality of the vast majority of coins in the series. 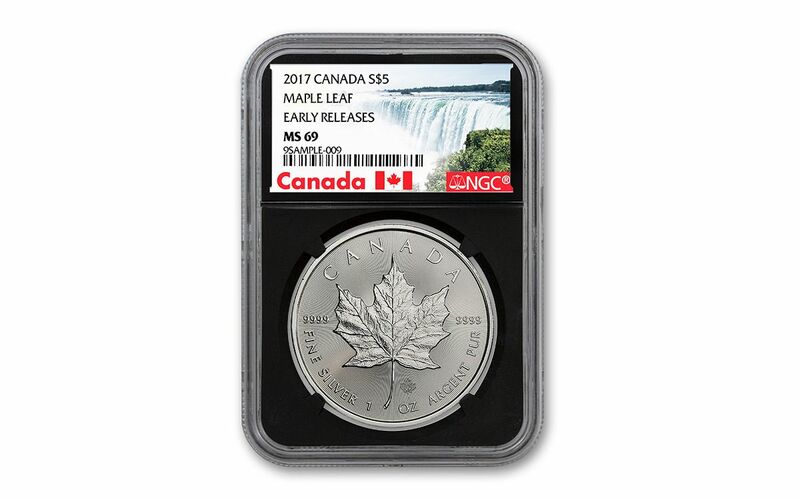 Your Silver Maple Leaf will also be certified Early Releases (ER) by NGC, meaning that your coin was among the first struck by the mint and was certified within the first 30 days of issue. As you can expect, collectors clamor over each new annual release of Maple Leafs. Don't wait to get yours -- order one for your collection today!